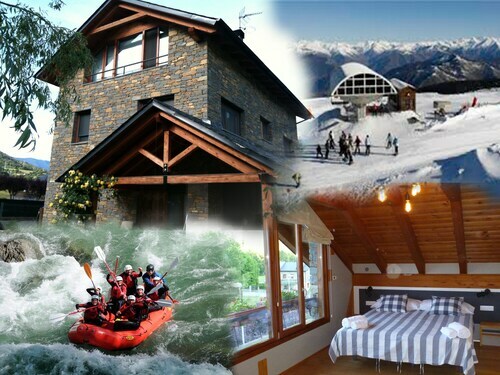 Situated on a river, this bed & breakfast is 15.2 mi (24.4 km) from Port Aine Ski Resort and within 32 mi (52 km) of Baqueira Beret Ski Resort and Ecomuseum of the Valleys of the Aneu. Pyrenees Ariégeoises Regional Natural Park and Pleta del Prat – Tavascan are also within 32 mi (52 km). 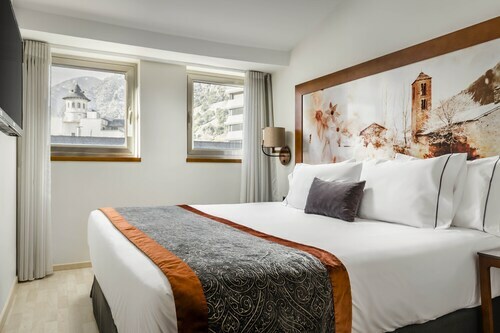 Located in the heart of Sort, this hotel is 12.4 mi (19.9 km) from Port Aine Ski Resort and within 32 mi (52 km) of Baqueira Beret Ski Resort and Pyrenees Ariégeoises Regional Natural Park. Pleta del Prat – Tavascan and Torre Solsona are also within 32 mi (52 km). 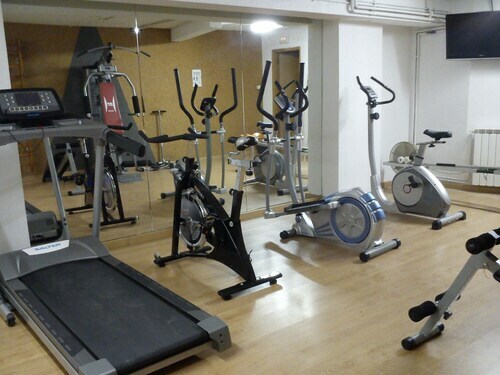 Situated in Sort, this aparthotel is 12.7 mi (20.4 km) from Port Aine Ski Resort and within 32 mi (52 km) of Baqueira Beret Ski Resort and Pyrenees Ariégeoises Regional Natural Park. Pleta del Prat – Tavascan and Torre Solsona are also within 32 mi (52 km). Situated in Sort, this country house is 18.8 mi (30.3 km) from Port Aine Ski Resort. How Much is a Hotel Room in Sort? Hotels in Sort start at $47 per night. Prices and availability subject to change. Additional terms may apply. For those wanderers that are on the hunt for a place to tuck in for the night right near the excitement of Sort, Travelocity lists a few excellent places. Sort lists 4 lodgings within easy driving distance of its CBD. Check out a number of Travelocity-listed hotels found within a 6 miles (10 kilometers) distance, such as the Hotel Les Brases and Hotel Pey Apartamentos. The AC Baqueira Ski Resort, Autograph Collection can be found about 19 miles (31 kilometers) outside the city center of Sort. Another accommodation option is the Hotel Val De Neu, which can be found approximately 19 miles (30 kilometers) away. The Rafaelhoteles by La Pleta and the Melia Royal Tanau Boutique Hotel are some alternative places to base yourself in Sort. After you have found all the secrets of Sort, how about you tour a little more of the area? The Catalonia area has a number of things to offer tourists. Explore Catalonia's ruins. Outdoorsy types can also take the time to admire the region's beaches, coastal plains and forests. Popular activities in this corner of Spain include mountain biking, mountain climbing and hiking. 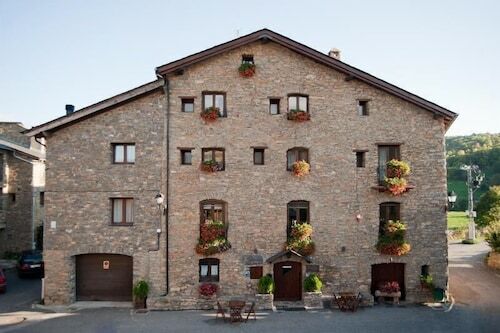 35 miles (54 kilometers) away from Sort, you can reach Prullans, where you can spend the day visiting Iglesia de Sant Esteve and Placa de Cerdanya. Prullans rooms include the Muntanya I Spa and Hotel Mirador. Alternatively, you could consider staying at La Molina, 45 miles (72 kilometers) to the east of Sort, where you can choose between the Apartamentos Solineu and Hotel & Spa Sercotel La Collada. Should you choose to stay in La Molina, be sure to visit the Trampoli and Alp 2500. Before you head home from Pyrenees, be sure you get to see an exciting game of sport. Make your way to Camp d'Esports, which you can find south of Sort. Wise travelers that want to sleep in the area around the stadium should check out the AC Hotel Lleida by Marriott or the Nastasi Hotel & Spa. After you have got to know the available hotel options in Sort, make sure you read through Travelocity's Sort travel guide for information on the many ways to enjoy yourself in this fascinating region. 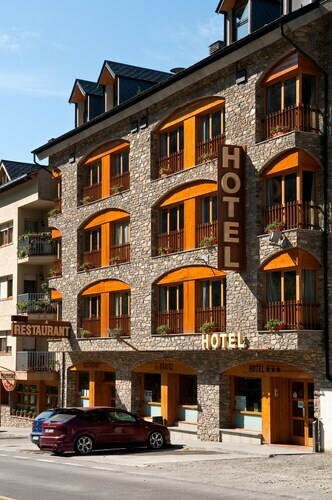 5.0 Amazing hotel in the heart of Andorra la Vella! We had beautiful rooms, that were very comfortable and prefectly cleaned! The front desk staff was delightful and the included buffet breakfast was exceptional!